It looks like warmer weather might finally be here. (Quick, someone knock on some wood!) It’s relative, of course, warmer in my neighborhood is 72 degree days and 53 degree nights. That’s enough for me to get a rosy glow about my neck and shoulders while I work the garden, and is good news for anything fruiting: the beans, tomatoes, squashes, peppers are finally going. The strawberries are dribbling out ripe fruit and the earliest blueberries and raspberries look not far behind. The new warm is a mixed blessing for the fall garden. Warm soil and long days help seedling growth immensely, but transplants and direct sown crops need to be watched carefully for water needs. In the Maritime Northwest, when the sun finally arrives the rain pretty much turns off, so supplemental irrigation is essential unless you are practicing dry gardening ala Steve Solomon . I know this won’t feel right to new gardeners (summer just started! ), but much of the fall garden would ideally would have been started about two weeks ago in mid-June. 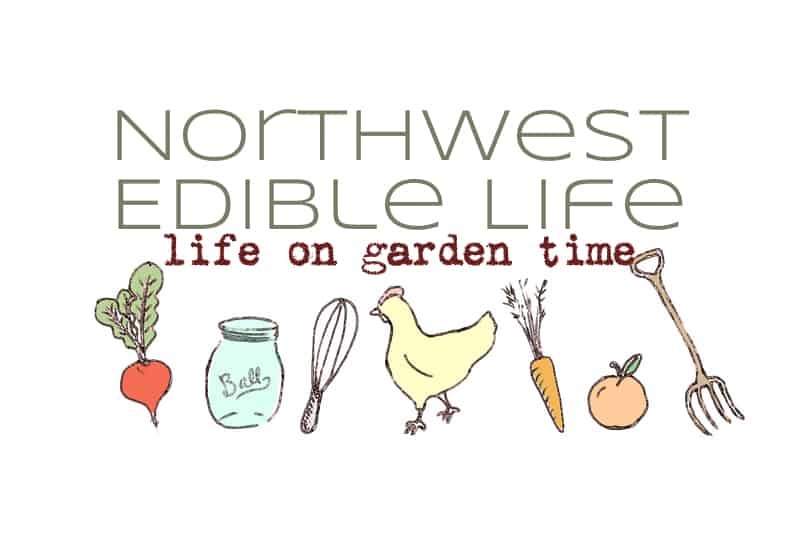 You still have time, but barely: by mid-July it just won’t be worth starting the hardy coles or root crops that make up the bulk of the edibles through the cold season. So if you are planning on a year-round garden, you really need to hustle. Garlic should be ordered now for planting in late September. Early July is really your last chance to get long-maturing fall and winter brassica seedlings sown for transplant out to the garden in late summer. I can’t really emphasize this enough, and I say from experience: if you do not plant many of your fall crops now, they will not have time to produce a harvestable yield before low light and cold in fall stops their growth. If you have the space in your garden, you can sow these crops out directly, but my garden is full-up with spring and summer crops, and there really isn’t a spot for the fall stuff yet. In a few more weeks, the garlic and peas will get pulled up, and then I’ll have room to transplant out my starts. So I begin all my fall stuff indoors so as not to miss my window. If you have a bare patch of earth anywhere in your garden right now, use it for your fall and overwintering root crops. Fall Root Crops: Carrots, beets, radish, rutabaga (my favorite survival crop! ), turnips and beets really need to go in as early in the month as to give a good harvest. Green Onions: I’m always surprised how long green onions take. Fall Salad Greens: Swiss chard, Frisee, escarole, radicchio, and arugula can be sown out mid-month. Lettuce and spinach will be better and longer lasting if protected from the hottest days or if sowing is delayed until the end of the month. Long-maturing Brassicas: Fall and overwintering broccoli, cabbages and cauliflower, plus kale, collards, kohlrahi and Chinese cabbage can all be sown out now if you aren’t starting these crops indoors. Green beans: If you haven’t gotten your beans in, why not give an early July sowing a shot? I bet it germinated quickly! Fall peas: If you grow a fall crop of peas (I never have – does it work?) you should start them this month, or so the experts tell me. If you started your fall stuff inside in mid-June, it might be ready to go out by the end of this month. If your garden isn’t ready for the transplants yet, you can usually keep them going just fine in 4″ pots for another couple weeks. Try to have your leeks in their final spot by the end of July. Everything is ready except the real heat lovers, it seems. Lots of variety makes for lots of salads and A-to-Z stir-fries! There’s a lot to keep alive right now! It can feel overwhelming. Preserve, freeze and dry what you cannot eat fresh. Remember, eat fresh when possible! Have you ever direct seeded brussel sprouts? I didn't sow any indoors this year as I was in the middle of a big move, but I really want sprouts! Funny to hear you talking about warm weather just coming in. Here in Georgia, we've been in the mid 90s since May. My radishes and lettuce suffered from bolting as a result of too much heat and humidity too early. Any recommendations for a good seed company? Sarah – I haven't direct seeded sprouts, but if I were going to I'd pick a quick maturing variety like Franklin and sow a clump of 4-6 seeds in good soil amended with a little extra lime. I'd drop the sluggo around the seedlind as soon as they popped up, and after they grew a true leaf I'd thin to the strongest. Sandi – your October/November would allow you to ripen our short season tomatoes! That's about what high summer is around here. 🙂 I love Territorial Seed for my seed, but in general I think the best seeds – like much else – are local. I'm sure what you need in your winter performers is going to be a bit different than what I need (I need really, really rain resistant!). But let me ask on the FB page and see if anyone has any particular recommendations for your area. Thanks for the kick in the pants. I took the opportunity to plant all my fall garden today based on your recommenation.